Hello people of the internet!!! On today’s ‘Monday Memos’ we’re going to review a very unique book. If you haven’t heard of ‘The Hundred Lies of Lizzie Lovett’ by Chelsea Sedoti then you need to keep reading because this book will most likely make it on to your TBR list this year. I was fortunate enough to receive an advance copy of this book however, I would never lie to y’all in a review and this book definitely has some issues that we’re going to discuss. Ready? Ok, let’s go!!! ‘The Hundred Lies of Lizzie Lovett’ begins by introducing us to our protagonist Hawthorne. She is a young teenage girl who becomes fascinated by the disappearance of her classmate Lizzie Lovett. Hawthorne and Lizzie definitely fall into the stereotypical “loner” & “popular girl” roles and because of this Hawthorne hates Lizzie. Now as you’ve probably predicted, Hawthorne comes from a very eccentric family, except her brother who is your stereotypical popular jock who has a huge crush on Lizzie. Ok so now that we have our foundation set up, let’s talk about what I liked about this novel. Hawthorne. Yeah, that’s honestly all there is. She was a very witty, funny, and an all around enjoyable character (at first anyway, but more about that later). Now don’t get me wrong I don’t have a problem with stereotypical YA novels that follow familiar and predictable tropes however this novel just feels confused and disjointed. The plot begins as a mystery, then adds possible supernatural elements, then quickly changes into a romance (sort of), and shifts the initial mystery into a side-story. The ending is completely unsatisfying and doesn’t make a lot of sense, and the romance is awkward to say the least. I’m not going to talk too much about the “romance” because it would take another blog post to explain everything wrong with this relationship. We get introduce to Hawthorne’s love interest Enzo early on in the novel and he is completely unlikeable and uninteresting throughout the story. The entire time I was reading this story I just wanted to reach into the book and slap Hawthorne for wasting my time on him (she can be with him in off-screen land, but why do I have to suffer through this). Lastly, we land back on Hawthorne. Her character is my favorite and least favorite part of this book. She started off as such a unique, interesting character and turned into your stereotypical dumb, petty YA girl. 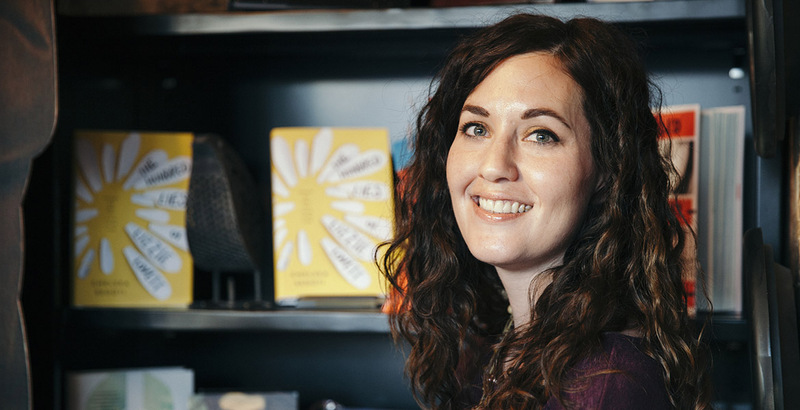 It’s not often that we see new, interesting female characters in YA and it’s just so sad that the author ruined such a potentially great character. So this leads us to what you’ve all been waiting for…the final thoughts. Honestly I HIGHLY suggest that you skip this one. It definitely gets a 1 out 5 smiley faces for the book’s lack of focus, uninteresting characters, and overall boring tone. Personally I only finished this book because I received an ARC and committed to writing an honest review. With so many other amazing YA books out there I wouldn’t waste your time with this one. All photos and information used in this blog belong to Chelsea Sedoti, netgallery.net, chelseasedoti.com, Twitter, Goodreads, all companies, individuals, corporations, managers, writers, producers, authors, publishers, and/or businesses that should receive credit for any book(s), mentioned in this blog post, all of the and all companies, individuals, corporations, managers, writers, producers, and/or businesses that should receive credit for anything mentioned in this blog post, and all original owners. I do not own anything in this blog. If any people, corporations, businesses, companies, etc, were not previously given credit for their work, they are given credit now and their previous absence was unintentional. All opinions expressed in this blog are my own. I wrote this blog for entertainment purposes and no copyright infringement is intended. 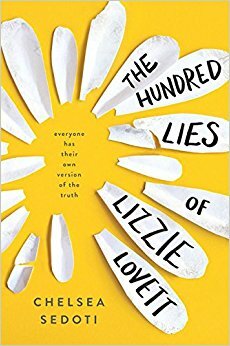 celindareyesblog March 17, 2017 No Comments on Monday Memos: Book review of ‘The Hundred Lies of Lizzie Lovett’. Category: Book Reviews, Monday Memos. Tagged: 2016, 2017, adult, book, Chelsea Sedoti, chelseasedoti.com, Goodreads, mystery, netgallery.net, new, review, romance, supernatural, twitter, YA, young. ← YouTube Wednesday: The 1st DuckTales trailer drops…woo-oo!